The engine oil drain plug on your Dodge Turbo Diesel is known to develop fractures. Although the design is good - a flush plug that gives maximum ground clearance - the thin shoulder of the plug can give-way if torqued too tight. Torque specification problems are created by confusing information in the "real world." (The correct torque for the Dodge plug is 40 ft. lb., for a Cummins plug in other B-series engines, the torque is higher). To remove the plug, use a 9/16" hex-head wrench. We've added a new sealing gasket to the kit. Use a 40 ft.lb. torque specification for this plug. 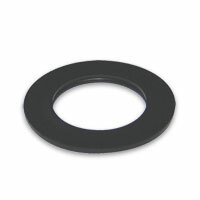 This kit includes drain plug and reusable gasket. thought my oil pan was the issue, decided to try this first. not sure what kind of wizardry science is behind this drain plug and washer but it works. highly recommended. Feb 20, 2018 | By Ian A. My original plug had seen better days; at some point somebody had welded the top of the plug to try to add rigidity(?) or make it easier to grab with a box end but either way it needed replacing. I can tell just by the weight of this plug that it is very high quality, the magnet is a very nice addition and the gasket that came with it seems to be great quality. 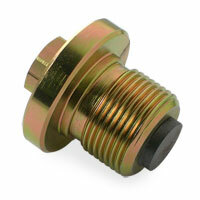 Heavy duty, well made oil drain plug. Installed it on my GF's '94 2500 Cummins. Remember to follow recommended torque value! Changed out the plug with this new plug and am very happy with the product. No leaks, plug is heavy duty, more so than the oem., and the magnet is abig plus. 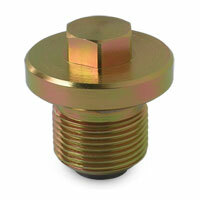 Heavy duty replacement for the stock drain plug and with a magnet, much better than the stock one and no leaks! This oil drain plug seems much more durable than the stock. The shoulder is a little thicker and less prone to cracking and leaking like the stock plug. Also included was a new washer.